The teenage actress Priya Prakash Varrier is undoubtedly an example of midnight star who rose to fame in a jiffy. Her wink act in one of the songs from her film Oru Adaar Love, ‘Manikya Malaraya Poovi’, that released earlier this year, was her claim to fame that went viral during Valentine’s Day this year. But the same song became a point of controversy when the actress received backlash for the same. In fact, an FIR was filed against her, the film and the song and now the Supreme Court has rejected the same. The controversy started when a few people raised objection over the song ‘Manikya Malaraya Poovi’ because the song had reference to the wife of Prophet Muhammad, the founder of Islam. 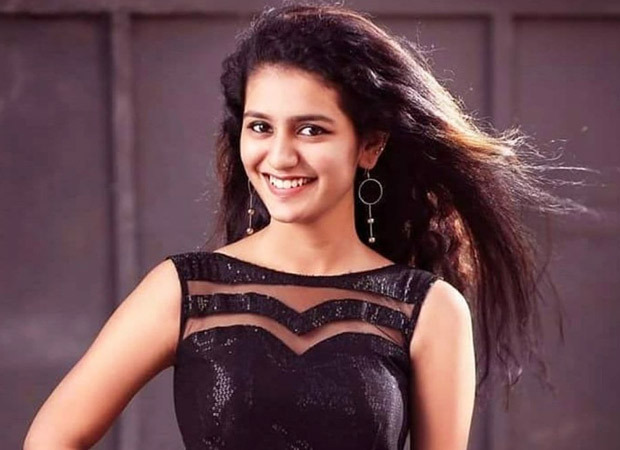 Owing to the same many FIRs were against Priya Prakash Varrier, the makers of the film and also the song accusing them of hurting the sentiments of the Islam community, aka Muslims. However, in a recent hearing, the Supreme Court has quashed the same and also cancelled the police case that was filed against Priya Varrier. Chief Justice of India, Dipak Mishra has reportedly claimed to the Telangana government that these are jobless people who have no other work except to file such cases against a line in the song. As of now, the makers, the musicians and Priya can heave a sigh of relief, as the court has cancelled all the complaints against them. This news especially comes as good news now considering that it is only a fortnight away from its release. Speaking of the film, Oru Adaar Love is directed by Omar and also stars Noorin Shereef, Roshan Abdul Rahoof, Siyadh Shahjahan amongst others. The film will release in different languages besides Malayalam, which includes Tamil, Telugu and Hindi. It is slated to hit the theatres on September 14, this year.